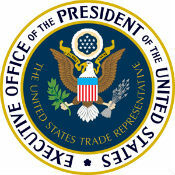 Keeping its annual tradition, the office of the United States Trade Representative has targeted some of the world's most famous 'pirate' sites in its latest report on copyright infringing venues. In addition to torrent sites like The Pirate Bay, RARBG, and RuTracker, hosting sites 4Shared and Openload come in for criticism. Again this year, a list of sites hosted in Switzerland are under attack.